RAM 128 to 256 MB. It can run any Operating System that supports a Java 2 VM, PHP or ASP.NET. 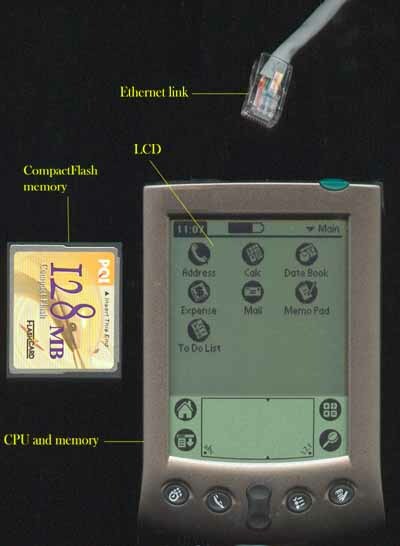 The CompactFlash card can also contain pre-installed presentations. Uses the browser to subscribe to a Presentation repository. Then published presentations are downloaded and users can access presentations on the device. The local administrator can also download new versions of PageBox and required software. 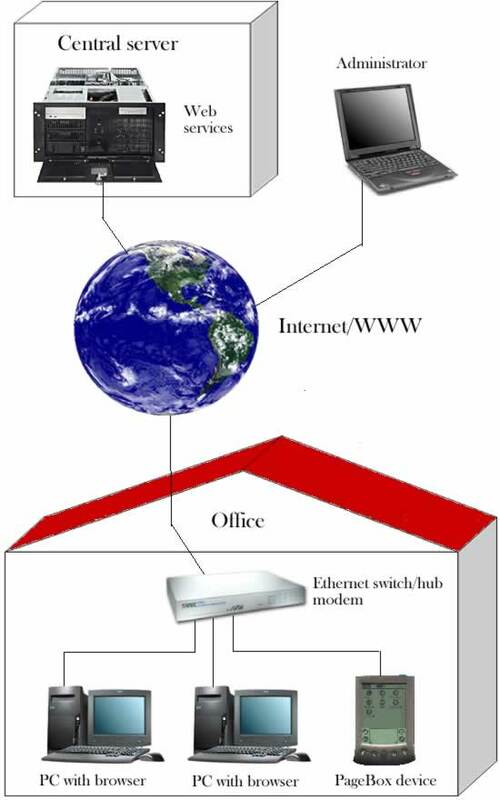 Branch offices deploy PageBox devices on their local LAN. Administrators connect to PageBoxes through Internet. They administrate PageBoxes with Web browsers. TroubleShooting Logs are stored on the CompactFlash card. Remote administrators use a Web browser to check the logs, fix the problem and update the code. Benefit Sub-second response time on remote locations without deployment issue.